If maximum traceability, true peace of mind and global consistency are important to you, choose Retreeva Global detectable pens and markers from Klipspringer. To minimise risk, it is of utmost importance that metal detectable pens are shatter resistant and do not splinter under duress. The Retreeva Global metal and x ray detectable pen from Klipspringer is designed with our utmost priority being “prevention before detection”. 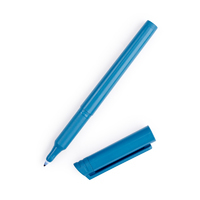 Regardless of your application, Klipspringer has a detectable pen (factory pen) for your environment - for ambient areas use regular ink, for chill environments use gel ink and for damp and greasy applications use pressurised ink - to ensure consistent flow of ink and smooth writing. 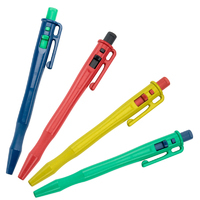 Whether you require retractable or "stick" pens, with or without pocket clip, the Retreeva Global range from Klipspringer offers you up to four ink colours, in up to four barrel colours. 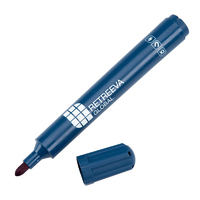 Click here to find out why the Retreeva Global pen is the preferred option of auditors, managers and operatives. 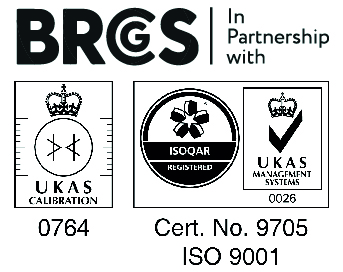 To discuss your application with our technical team call 01473 461 800. 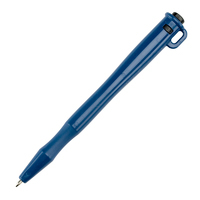 Detectable factory pen with regular ink - preferred option for the majority of applications. Best suited to dry and ambient conditions. Benefits from superior retractable cartridge mechanism, virtually indestructible pocket clip and large lanyard loop. Now available in four barrel colours, as well as four ink colours. Manufactured by Retreeva Global. Supplied in packs of 25. 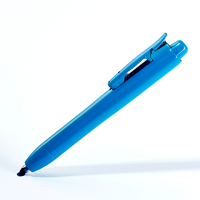 Detectable factory pen with regular ink - preferred option for the majority of applications. Best suited to dry and ambient conditions. Benefits from superior retractable cartridge mechanism, virtually indestructible pocket clip and large lanyard loop. Manufactured by Retreeva Global. Supplied in packs of 25. 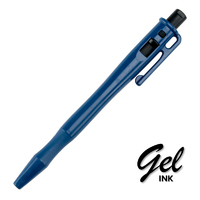 Detectable factory pen with gel ink - preferred option for chilled and sub zero applications. Benefits from superior retractable cartridge mechanism, virtually indestructible pocket clip and large lanyard loop. Now available in four barrel colours, as well as four ink colours. Manufactured by Retreeva Global. Supplied in packs of 25. Detectable factory pen with pressurised ink - For writing at difficult angles, and on soiled greasy or damp surfaces. Benefits from superior retractable cartridge mechanism, virtually indestructible pocket clip and large lanyard loop. Now available in four barrel colours, as well as four ink colours. Manufactured by Retreeva Global. Supplied in packs of 25. Detectable factory pen with regular ink. Best suited to dry and ambient conditions. Fixed cartridge for applications where retractable pens are not permitted, complete with large lanyard loop (no pocket clip). Manufactured by Retreeva Global. Supplied in packs of 50. Triple detectable housing - visual, metal and x-ray detectable. Smaller barrel for greater comfort when writing. Detectable housing marker pen with fine tip, ideal for writing on shiny surfaces. Available in 4 ink colours.